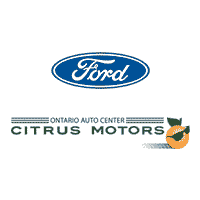 Is Your Ford Ready for Quick Lane® at Citrus Motors Ford? Quick Lane® Tire & Auto Center provides all the services your car or truck needs most, at over 650 locations nationwide. All our services are performed by factory-trained experts and on your schedule. Plus, we’ll take care of any make or model, using quality parts from trusted brands like Motorcraft® and name-brand tires from Goodyear, Continental Tire, Michelin and more. Give us a try and you’ll see why life is better in the Quick Lane. The factory-trained auto service technicians at your local Quick Lane® Tire & Auto Center will thoroughly inspect your vehicle’s key components and systems from top to bottom, and then give you an in-depth Vehicle Check-Up Report that will help you easily monitor your car’s or truck’s maintenance needs. With The Works, you get an oil change and a whole lot more, including a tire rotation, brake inspection, battery test and a Vehicle Check-Up Report to help you monitor your vehicle’s maintenance. An old car battery can stop you cold. If you’re not sure whether your battery is worn out, stop by your local Quick Lane® Tire & Auto Center for a battery test. We’ll see if it’s ready for another season. Plus, if you need a new one, we stock the batteries that are right for your vehicle.